Sweetest Blackberry Ever, Here Now! Well, in ice pop format, that is. This week, we're "Pushing it to the Limit", Paul Engemann-style with deliciously tart blackberries, tangy-fresh Ronnybrook Farm yogurt & super-sweet honey. 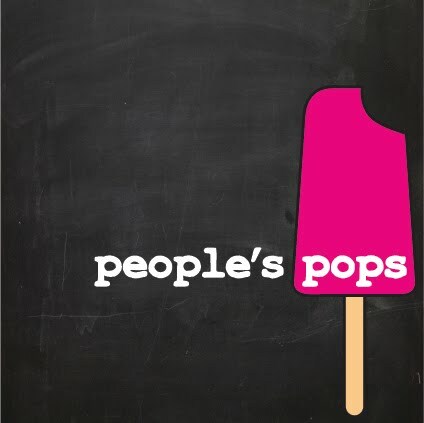 You'll also want to have a lick of our famously fashionable Watermelon, Cucumber & Hyssop pop. Just remember...this could be our last week of the season. So, come on down!!! 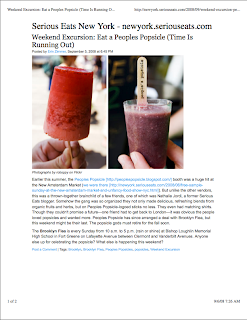 Btw, Serious Eats had a serious review about us only just yesterday! And so did our buddies over at PSFK! Thanks guys!